Flatshifter Brief product range summary. Flatshifter Club system enables Full or part throttle clutchless up gearshifts only. Flatshifter Pro Full or part throttle clutchless up gearshifts &amp; clutchless down gearshifts with our autoblip system intended for kit cars and highway use. Flatshifter Expert Full or part throttle clutchless up &amp; clutchless down gearshifts (race version of the Pro kit above) for faster riders &amp; drivers essential for highway, track days &amp; race use. 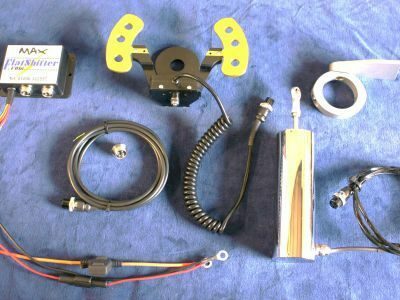 Flatshifter “Blip” Independent clutchless down shift system works with all makes of engine ecu or quickshifter systems. Flatshifter Max Electric solenoid effortless up and down gear selection system operated by buttons or flatshifter Paddles.max kit can be used with any of the above. Flatshifter “Shift” Strain gauged gear knob.use with Flatshifter or any make of quickshifter system. Flatshifter Dualever Motorcycle twin clutch/brake lever &amp; master cylinders, for disabled motorcycle &amp; trike riders. Bmw M3 Original BMW M3 Wheels in 18&quot; with tyres at 90% (Michelin Sport).